Select the dates for your next trip and stay in this Thermal Spring Water Spa hotel in Andorra. Make a reservation with discounts only here, on the official website of the Spa Termes SERHS Carlemany Andorra Hotel. 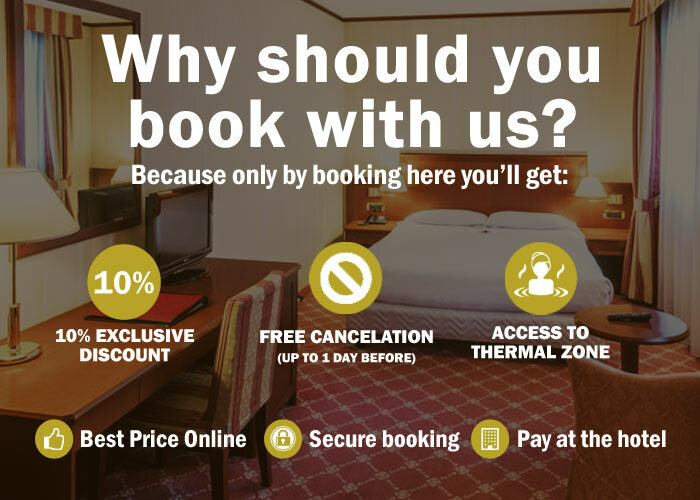 Get up to a 10% discount by booking on our website. Enjoy a break of relaxation and disconnection in the heart of Andorra. Package available all year. Book on our website with 10% discount! Booking 7 days in advance you can enjoy an exclusive price. 10% off for bookings made 60 days in advance. Offer applicable to other offers! Book at least 60 days in advance and get the best price. Take advantage of your stay in Andorra and discover the Carmen Thyssen collection at the Carmen Thyssen Andorra Museum, located next to the hotel.